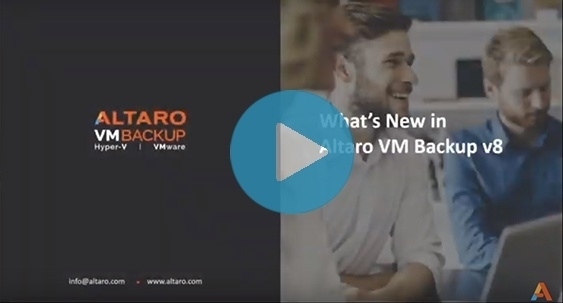 Get an introduction to Altaro VM Backup, the easiest to use backup software for Hyper-V and VMware. 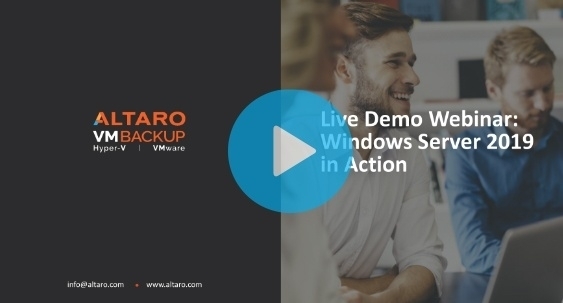 Microsoft MVPs, Andy Syrewicze and Eric Siron, present a live demo of the features of Windows Admin Center that provide the biggest benefit to improving your daily operations! 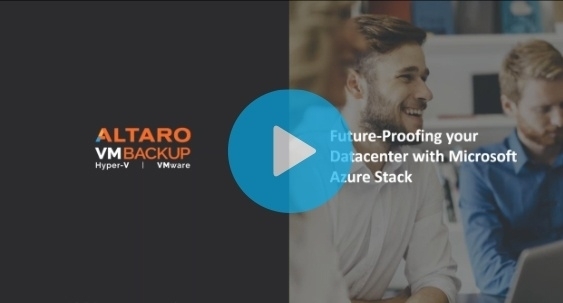 Get to know how to best apply Infrastructure as a Service in your environment from Senior Cloud Advocate on the Microsoft Azure Engineering Team Thomas Maurer. Test drive Windows Server 2019 with Microsoft MVP Andy Syrewicze. 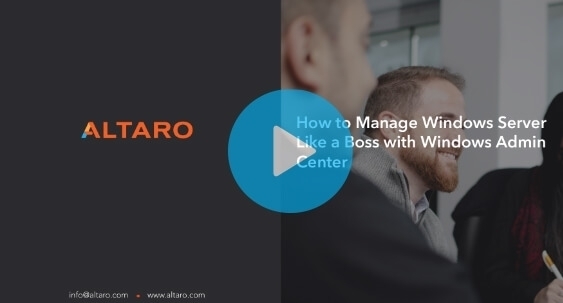 Discover WS2019's most powerful features and how you can get the most out of them in your environment. Get a full grasp of the staggering amount of improvements and updates included in Windows Server 2019 plus a closer look at some standout features. 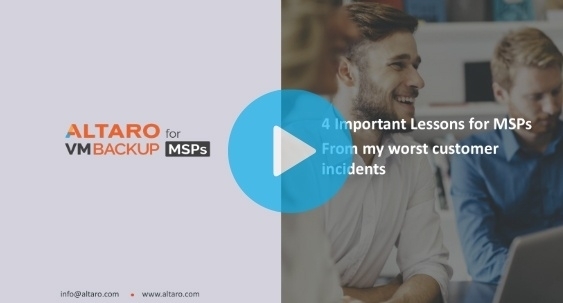 Discover 5 tools being used by leading MSPs every day as the engine for their success and how you can do the same. Discover 5 lesser-known features and capabilities to unleash the full power of vSphere - all freely available on the Essentials Plus licensing level. This webinars covers everything you need to know about planning, purchasing, and implementing Hyperconverged setups with VMware VSAN. It's no longer out of your reach! 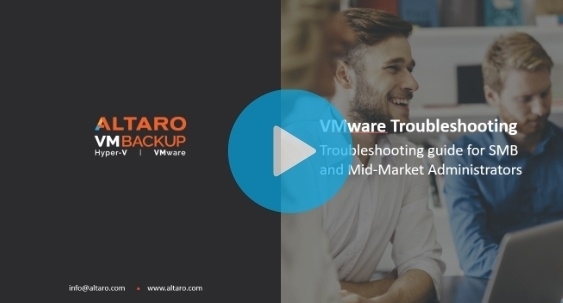 If you're interested in VMware's VSAN technology, this is the webinar for you! In this webinar you'll learn what Ransomware is and common ways to protect yourself; case study examples of real-world infections and resolutions (and failures! ); and the role of backup in protecting against attacks. Learn all about Microsoft's Nano Server Technology with Andrew Mason, Principal Program Manager working on the Nano Server team. This webinar features both planned discussions and questions from attendees. This session is geared towards VMware admins who are looking to broaden their horizons by adding Hyper-V know-how to their toolbox. 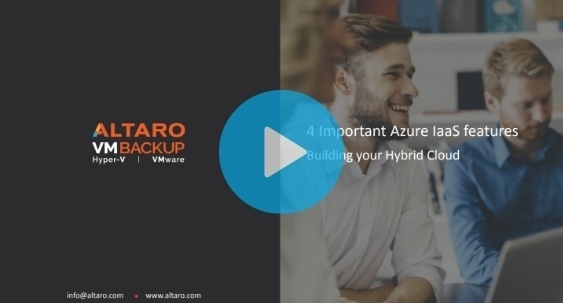 You'll learn about Hyper-V clustering, management differences, and migrating VMs from ESXi to Hyper-V.
Troubleshooting complex virtualization technology is something that system administrators have to face at some point, and it's not always easy to get things up and running again. This webinar covers the most common problems experienced in VMware vSphere.